STP participated in the 2018 San Antonio 48 Hour Film Project. It was a challenge... but we hope you enjoy our little film: Beta. A couple tries an experimental matchmaking service that gives them a glimpse into their potential future. Beta from Ken Raimondi on Vimeo. Sarah Rassi is running out of options. She needs a bone marrow transplant and her only match on the registry is troubled war veteran, Peyton Sinclair. Can Peyton overcome his own battles with PTSD to step up and save Sarah's life? 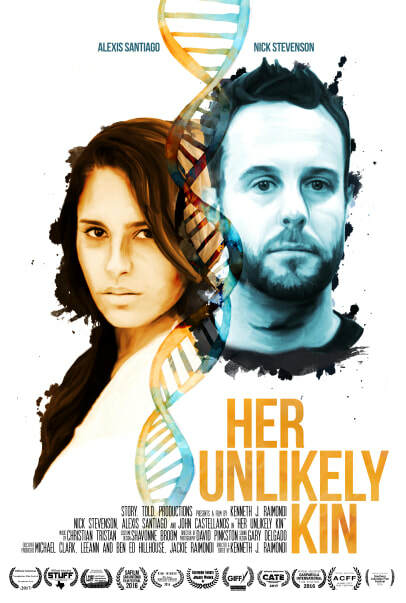 Her Unlikely Kin tells the story of two strangers, who by rare genetic chance, can offer each other new life.